Harambee stars’ team captain and Southampton’s gifted midfielder Victor Wanyama has finally made Kenya proud after he made it to the African player of the year shortlist. It is a plus for Kenya since Kenyans are known to be football sleeping giants; we only shine in athletics, rugby and women volleyball. 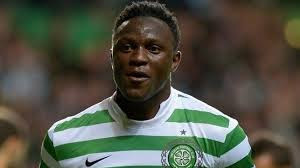 Victor Wanyama is among the 37 man shortlist and the question that most people are asking, especially me is, will he make it? All the best kijana wa nyumbani.